Among my holiday Christmas traditions is getting a new ornament each year from www.ornamentswithlove.com. When we put the old ornaments each year, they have a unique memory associated with the ornament and the year we have gotten it. With arrival of our dog Jake this year, it only made sense to get a personalized family with dog ornament which included his name. These ornaments are truly beautiful and you can use them to mark specific passages of time such as a new baby, and travel or honor a family member with a personalized ornament. There are hundreds of unique ornaments featuring animals, sports, pro teams, angels, family and even occupations, as well as many more. 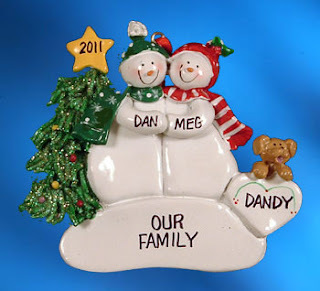 Kids will love a Christmas ornament inscribed with their name and many people make it a family affair and a tradition of choosing a new decoration that best represents them with each passing year.